I chose the songs for "The Best of Charmin' Billy" based on the criteria used by Mr. White ( Tom Hanks ) in "That Thing You Do." He told the Wonders, " I want something snappy, something peppy." I think most people do. So I chose songs that were upbeat and positive, even if the lyrics were less-than-challenging. But I couldn't leave out a couple of the serious songs - they were so great. 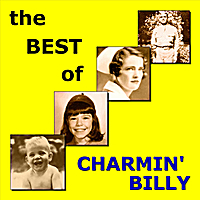 If you like a lot of the songs on "The Best of ...," move on to "2nd Best of Charmin' Billy." If, for any reason, you want to hear all my original songs, buy the 4 original albums in their entirety. By far the best one is the last, "Little Red Wing."